Hey OMG Guys I am so happy to introduce you to Bumbleberry Farms. Prior to an email I had never heard of them but I am so thankful they reached out to me. 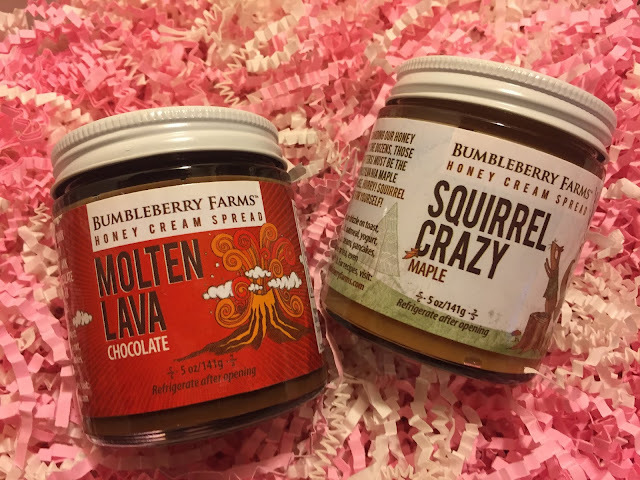 Bumbleberry Farms is a woman owned business that is transforming honey cultivation. Their unique approach helps promote healthy environment while also supporting community development. Their hand crafted, artisan honeys come in innovative flavors like their Heritage Honey Cream Spreads: Lovers leap old world sea salt caramel, Squirrel Crazy pancakes and maple syrup, Sticky Buns cinnamon slathered in icing, and Molten Lava. Let me tell you....this stuff is good unfortunately for me too good. I have found myself going in with my Demitasse spoon more than I should. 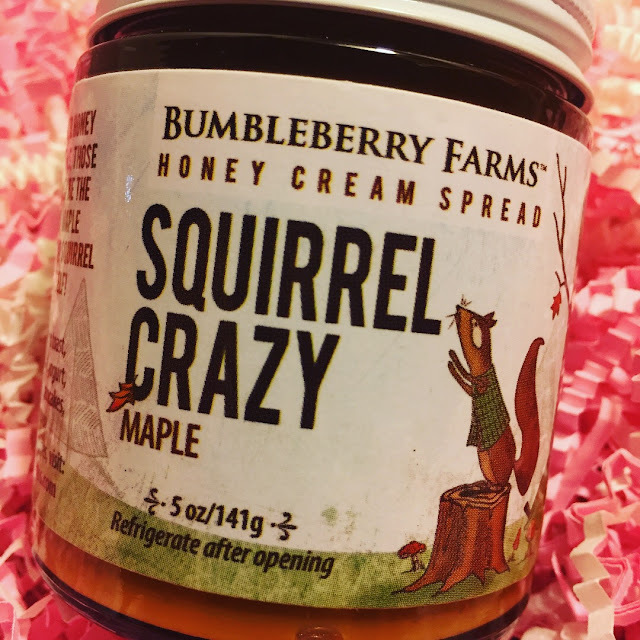 We received Squirrel Crazy which is truly the yummiest. This morning I made some Grands Biscuits and my daughter and I both went to the fridge laughing that we both had the same idea. We spread a little inside the warm biscuits and ate more than half before the boys even know the biscuits were out of the oven. So far we have used it on waffles, bagels, biscuits. My daughter was very impressed with the ingredients. "Mom it has ingredients we can all pronounce; whole milk, cane sugar, pure maple syrup, vanilla and sea salt. THAT IS IT!" We definitely love it and will be purchasing again! 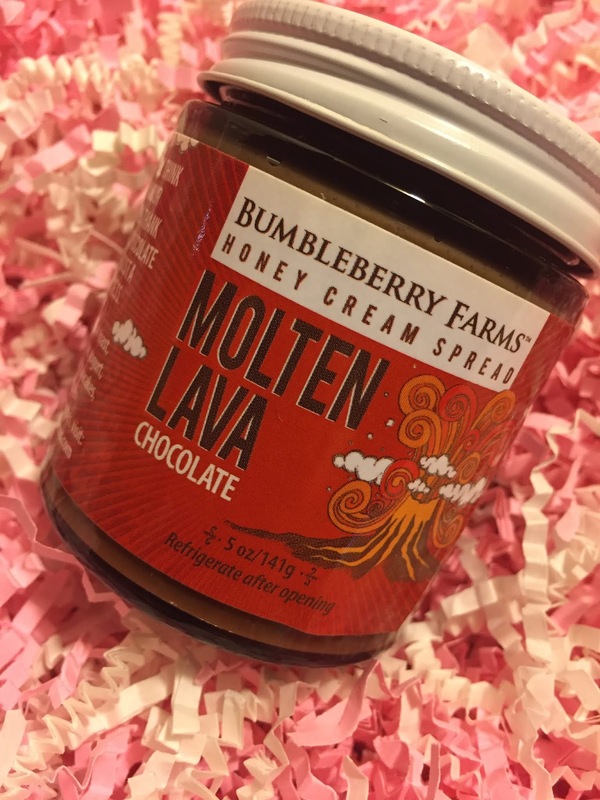 The other sample was Molten Lava which we both thought we would like more because it was chocolate. We liked it and probably would have loved it if it was the only one we tried but like Squirrel Crazy a little more. Check out their website if you have a chance and maybe you will find something you love but don't complain to me if you find yourself sticking a Demitasse Spoon into these little jars of sunshine!